Metal Tech 4x4 FJ40 Land Cruiser front seat cradle kit. This seat cradle kit designed to work with Metal Tech's Full Profile or Jackson cage kit is an excellent addition to add aftermarket suspension seats with having to come up with custom brackets to mount to your body. An added benefit as well is the increased safety factor of the seats are integrated into the roll cage rather than the body along with significant structural strength to the roll cage. 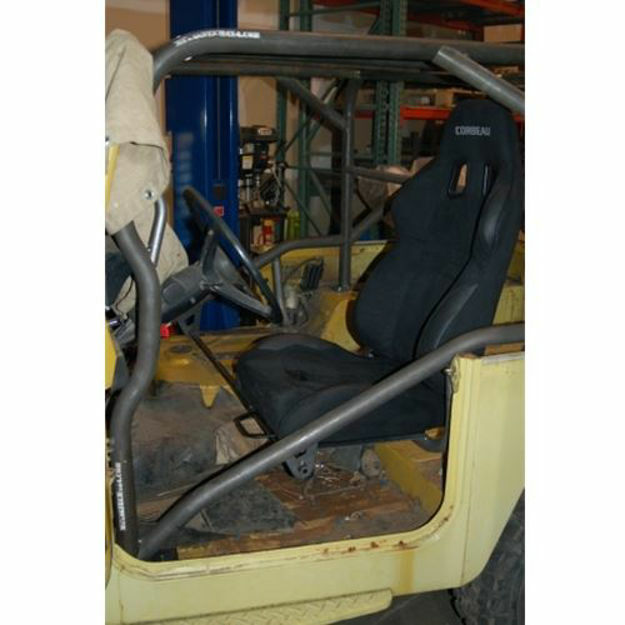 Our seat cradle system can easily adapted to fit about any aftermarket suspension seat, junkyard seat or the factory FJ40 seats.